The Mokin' DownUnder event will be four days of activities, displays and day tours based in and around Hobart that should give you plenty of time to socialise with other Mokers and see what Old Hobart town has to offer. The local politicians are letting us park on their front lawn on Saturday morning which is very handy free parking to the famous Salamanca Markets and Moke Central is close to the Airport. Click the heading to read more and get details on the accommodation. 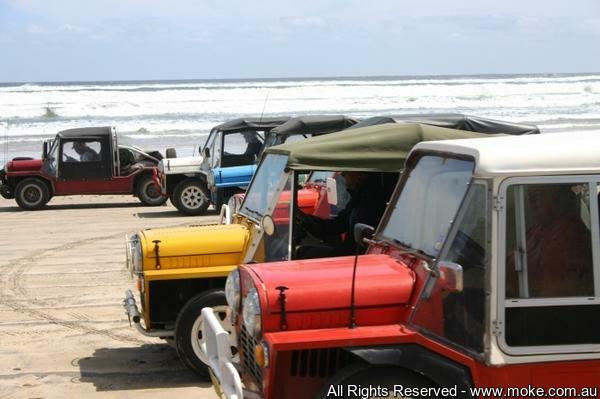 Half the fun of any Moke event is getting there and make sure you get your full entitlement of Fun, The Western Wander will lead it willing and not so willing participants for a five day tour across the top of Tassie and down the spectacular west coast taking in some of the best roads and scenery on offer in Australia. There is plenty to see and do and to make it family friendly we have two two night bookings, meaning you only have to pack up and move every second day from the chosen base camp with a local tour planned on the days in between. This tour leaves the Saturday morning on the Weekend of the 28th February, the weekend prior to Mokin Downunder Hobart Spectactular. The following from TT Line provides information for making your Spirit of Tasmania bookings if you are coming from the mainland to attend Mokin' DownUnder 2015. As you will notice the offer is for a period before and after our event dates and bookings can be make individually on dates that best suits you. The boat trip is a great experience and options are available based our your preference sleeping in ocean recliner chairs to deluxe cabins. There are some day time sailings during this period however I doubt that they will match your requirements.